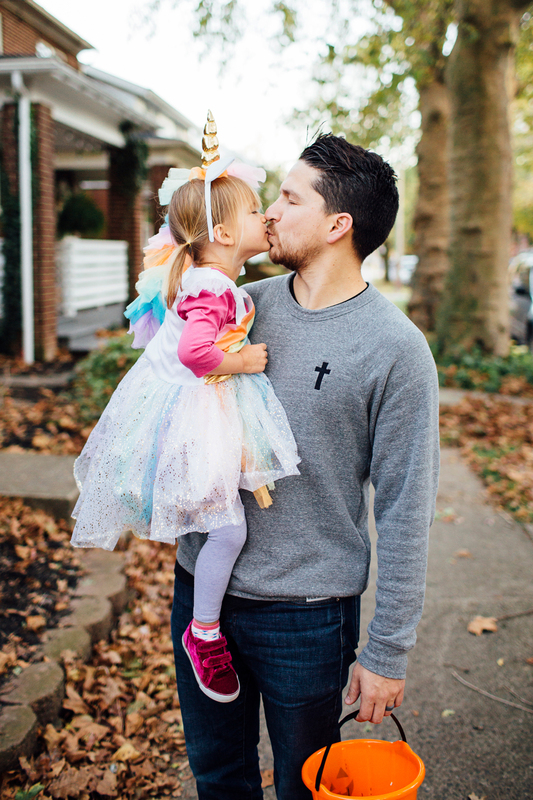 There's something ironic and hysterical about having to bribe your 2.5 year old with candy to put on her Halloween costume... so she can go out and collect even more candy from strangers. 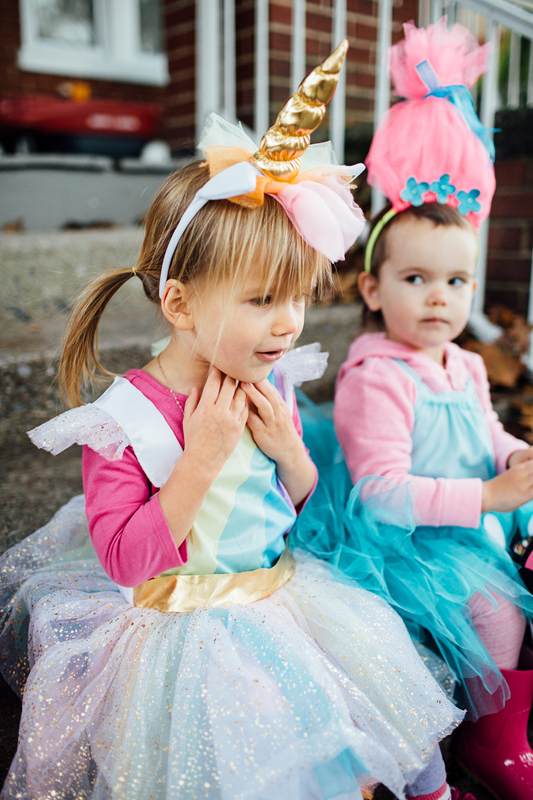 😂 June dressed up as a Unicorn this year (again, thanks to Target), and we got the entire costume on sans wings with little to no tears. Ha ha ha! We weren't kidding when we said we bought it a month in advance so she could warm up to the idea. 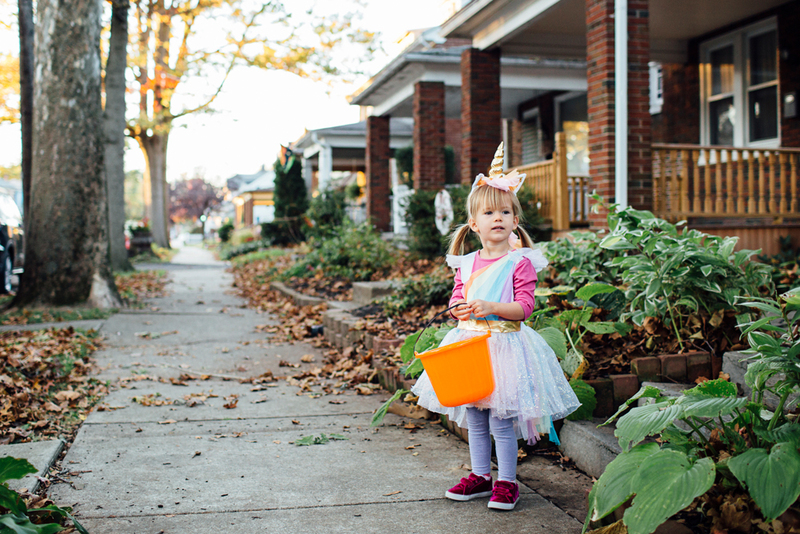 June was equally excited about her $2 pumpkin bucket, which she's still carrying around the house to collect all sorts of trinkets, toys, and candy wrappers. 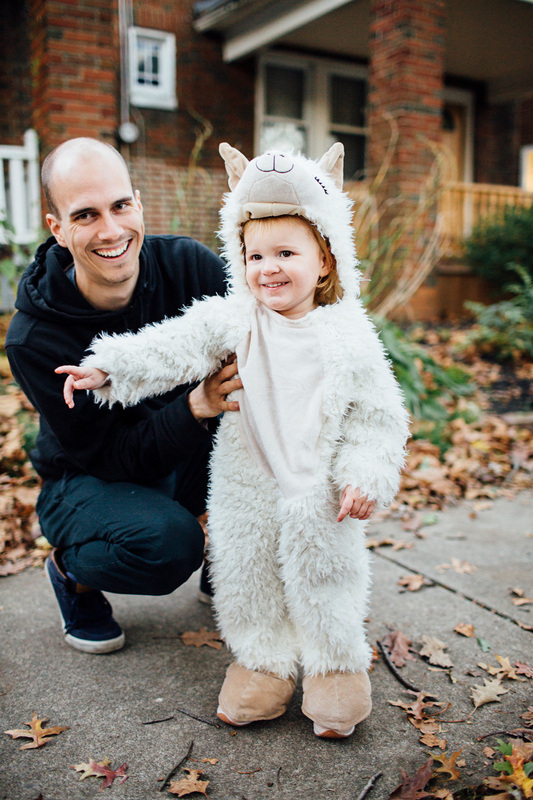 It was a year ago to the day that I posed about June being a Kangaroo for Halloween 2016. Look how little she is in those photos!!! 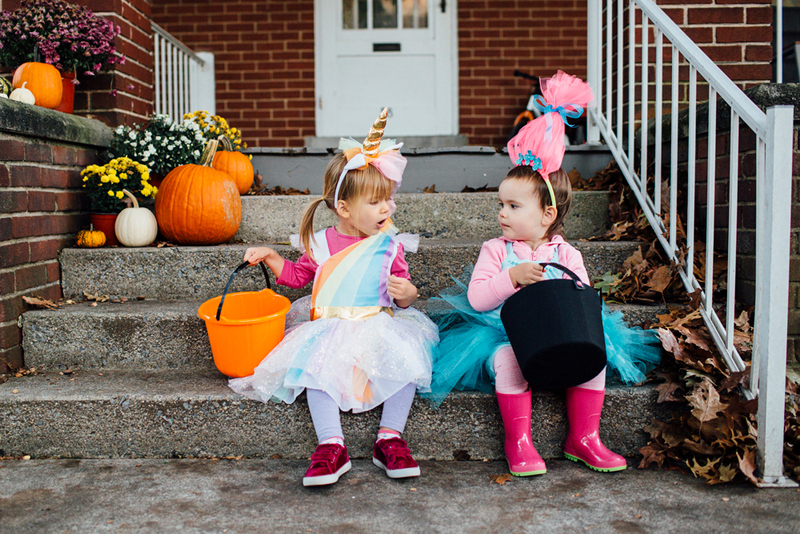 Both her and Clara, her neighborhood BFF, are so small! 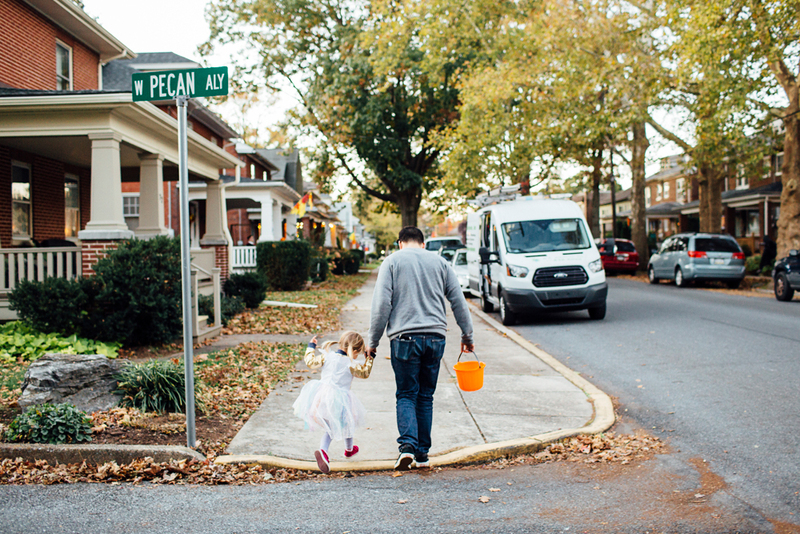 My brother Taylor, and his family, joined us for Trick-or-Treating this year in Manheim, since our street is easy to walk around and everyone participates. Pearl fell asleep in the car on the way to our house and was OUT. Like, they couldn't even get her to stand up she was sleeping so hard. 😂 Eventually she woke up and got the hang of things. 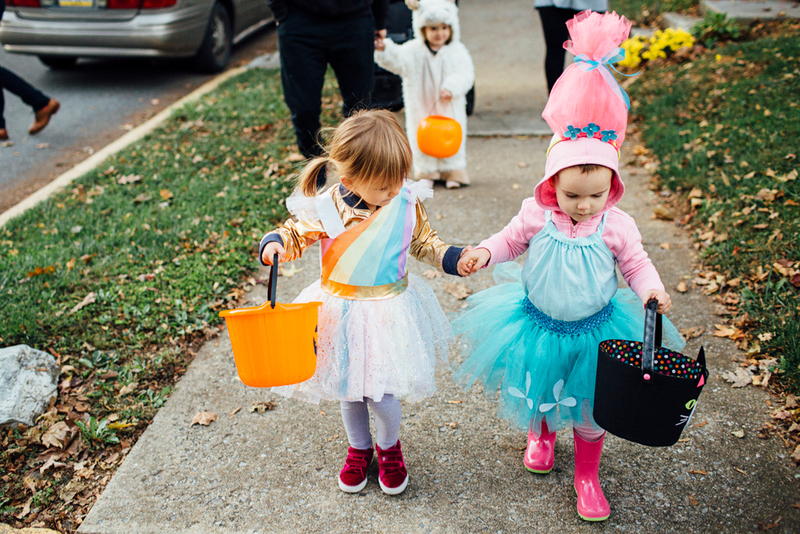 As always, we're already looking forward to next year--- especailyl cause we'll have a new little lady to dress up in a costume, too!